Costs – Long Beach, California enjoys a temperate climate, which means its trees consistently need maintenance and care to stay healthy and continue to grow. Learn more about the average prices for pruning, trimming, along with removal of trees and stumps in the area by reading our statistics. FAQs – What do you know about trees in the Long Beach area? If you’re uncertain about what kinds to plant, we have all the information on what kinds thrive, which don’t and what to keep an eye on while you’re growing them in your yard. Services – In case you need a second opinion, we have the names and numbers of all the arborist companies in the Long Beach area. See which is closest to you and pick up the phone today. How Much Do Tree Services Cost in Long Beach? Long Beach residents who own their property are often confronted with the need for horticultural maintenance. Long Beach enjoys a temperate Mediterranean climate typical for California, and this means that plants can grow completely wild if left unchecked. Given the unstable housing market, it definitely pays to keep your property’s plant growth in control by maintaining your trees. Removing trees in Long Beach usually costs an average of $780. This price can change depending on the tree itself. For example, if the tree’s branches are close to power lines or within close proximity to the home, the arborists might charge more to prune them ahead of time or put cords around the tree to make it easier coming down and avoid hitting the house. The range is within $647 to $911, depending on the complexity of the tree removal. If homeowners have trees cut down, they’ll usually also have to grind the stump to clear the land for the grass grow over. Small and large stumps generally cost around $80 to $150 each to grind. Keep in mind that the price will vary based on the season and the specific details of the work being done. Stump removal will cost more, around $500 to $600. Maintaining shrubs and trees costs an average of $598. It’s important to remember these average prices can be drastically reduced by taking care of maintenance on a regular basis. The fluctuation is within the range of $502 to $694, depending on the type of tree, the number in the backyard that need to be regularly trimmed, pruned or cut by the arborists, and the state they’re in at the beginning. Taking care of trees in Long Beach is a critical part of being a responsible homeowner. Here are some things to consider before getting started on any maintenance work. Although the Long Beach Public Works Department does a lot to protect and maintain the city’s urban forest, they don’t generally interfere with trees that grow on private property. If a street tree requires emergency maintenance, you can call the city and have the work taken care of free of charge, but if the tree is rooted on private property, it’s the resident’s responsibility. Remember that any tree maintenance work should be completed by a licensed service that has insurance. As a general rule, don’t attempt any jobs that require a chainsaw or ladder by yourself. Tree removal and pruning jobs are easiest to take care of from August to December in Long Beach. 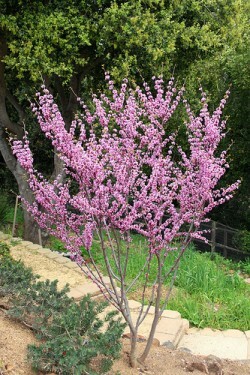 Shorter trees like the desert willow (Chilopsis linearis), crape myrtle and multiple redbud species, such as the eastern redbud (Cercis canadensis), Mexican redbud and western redbud (Cercis occidentalis), are highly prized as easy-to-manage ornamentals that top out at 25 feet or less. These trees also provide easily accessible sources of small timber that is often used for arts and crafts projects like traditional basket weaving. Larger trees, like the California sycamore (Platanus racemosa) and the Engelmann oak (Quercus engelmanii), take a bit longer to grow, but they make great shade trees for large properties. Trees that thrive include various palms (Palmaceae) and bamboos (Bambuseae). 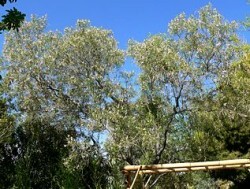 Medium-sized trees like the Kaffir plum (Harpephyllum caffrum) and the pecan (Carya illinoinensis) are often grown for their fruits. Citrus, cashew (Anacardium occidentale) and pistachio (Pistacia vera) trees are also popular for the same reason, and they make wonderful complements to backyard gardens and communal vegetable plots. Even the iconic California fan palm trees (Washingtonia filifera) that Long Beach is widely known for are susceptible to pandemic diseases, like the recent outbreak of root fungi caused by poor soil conditions. These blights have made the species difficult to maintain. Similarly, recent frosts and accompanying root fungi have made some varieties of orange trees (Citrus x sinensis) tricky for beginners. Pest species like the Russian salt tree (Halimodendron halodendron), which is invasive, are prohibited by California law. 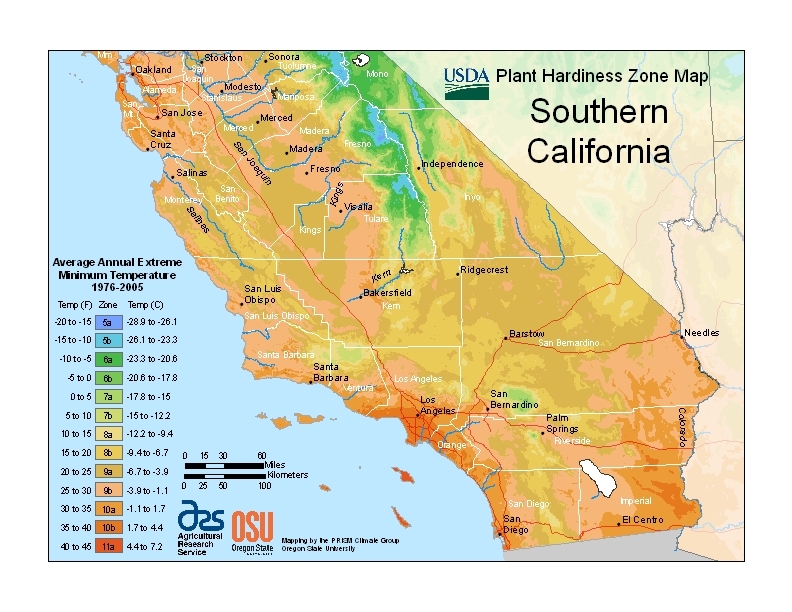 Numerous pests and tree diseases also thrive in California. Insects like the Asian citrus psyllid have been identified as carriers of fatal bacterial diseases that ruin citrus fruits and eventually kill their hosts. While monthly inspection can help homeowners combat these pests, they can easily travel from dead limbs to healthy growths, and they require expert treatment. Healthy trees pose hazards to homes and other buildings because they tend to grow as far as they can even when they’re opposed by human-made obstacles. As a result, they can interfere with power lines and other utility fixtures. According to the city, trees should be planted at least 15 feet away from all utility or light poles and a minimum distance of five feet away from fire hydrants, water meters and gas meters. Although you can get away with planting smaller trees and shrubs underneath overhead lines, you must keep them trimmed. The Director of Public Works reserves the right to classify such plantings as public nuisances and serve you a notice stating that you need to remove them. If Public Works employees perform the spraying, trimming, pruning or removal work, you’ll be billed later, so it’s best to take care of these issues on your own.